Yes friends! It's been a little while since the last ride on that rainy Sunday in June. I had hoped for something sooner, but my life has been tumultuous, alas. But autumn is just as good! And this next ride will have a theme: Mileposts, Swifts, and Equinox. It's going to be a bit longer than the past couple rides, and while the ride route itself is a mystery, you can count on this: We'll see some Portland mileposts, it will end with the viewing of the vaux swifts at Chapman School in NW, and yep, it's on/near the Autumnal Equinox. A ride celebrating the humble internally geared three speed bicycle. 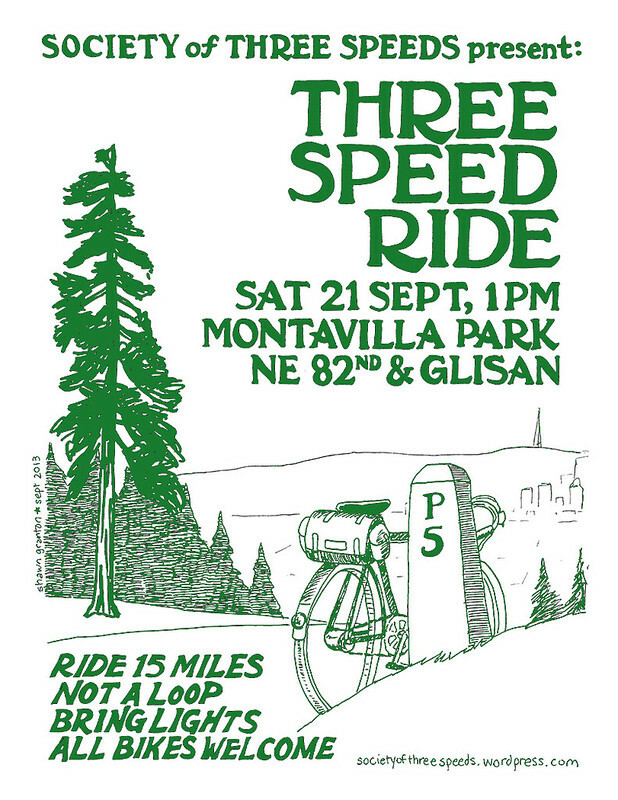 Bring your trusty three speed or other internal hub gear bicycle. (If you don't have one, it doesn't matter, just come! But if you had the choice between a high-performance crabon fibre racer and an old beater, bring the beater.) Casual paced ramble of approx. 15 miles, mostly flat with a hill or two. (No shame in walking it!) We'll take breaks, refuel and all that. The ultimate destination is Chapman School in NW to watch the Vaux Swifts. Bring lights as we can be out after dark on this one.